Enter your referral code to be displayed on your business cards. 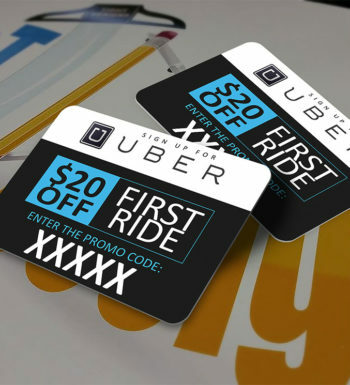 We will use this code to generate the Rider Discount Amount and the Driver Bonus or Guaranteed Amount to be displayed on your referral cards. 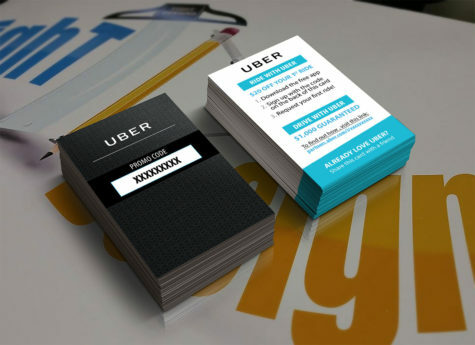 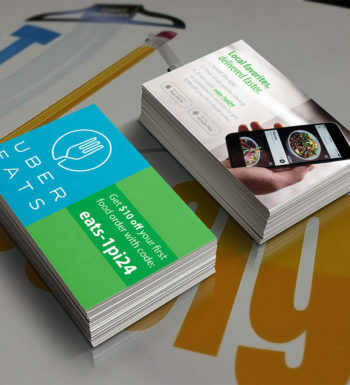 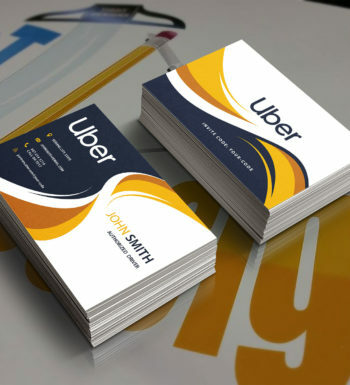 Uber Referral Cards display the unique referral code for new passengers using the Uber ride-sharing car service, which can also be used to refer new drivers to drive for Uber. 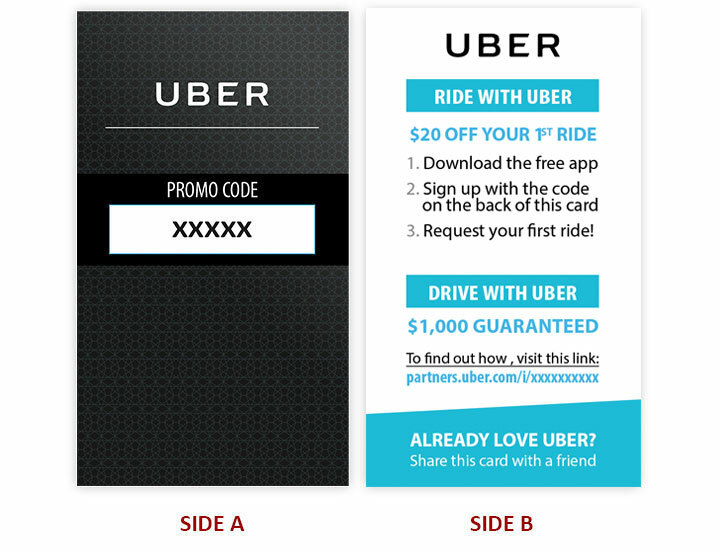 Optionally you can display a “Driver Sign-Up Bonus” to help inform potential new drivers of their earnings when they register with Uber under your unique referral code.